Are you interested in learning more about the Catholic Church? 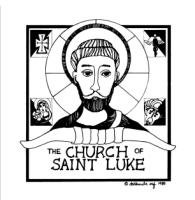 Perhaps you've been thinking of becoming a member of The Church of St. Luke parish community, or perhaps you are just curious about what Catholics believe. The RCIA Inquiry is for those seeking to learn more about the Catholic faith. Participants who wish to receive the Sacraments of Baptism, Confirmation and Eucharist are encouraged to attend each weekly session. We will gather as a group for approximately 12 weeks. At the end of the 12 weeks, together we will determine the path you wish to take on this journey of faith. Rite of Christian initiation is about becoming Catholic. The unbaptized and baptized Christians of other traditions may enter this journey when they feel called. Likewise, baptized Catholics who have not received the sacraments of initiation are welcome to begin anytime. Perhaps this year is your time, to make a fresh start and commitment to a personal Christian discipleship? There is a period of RCIA Inquiry, during which time you have the opportunity to ask questions and seek answers about being Catholic. (see the description above entitled "RCIA Inquiry"). Once you've completed this 12 week of inquiry, we will guide you in your decision to continue this journey of faith. Rite of Christian Initiation for Adults (RCIA) adapted for Unbaptized Children and Teens is designed for young disciples over the age of 7 who desire to be fully initiated into the Catholic Church. This process may take up to two years. During this time, we guide them through the stages of conversion that leads to the full sacramental initiation through the sacraments of Baptism, Confirmation and Eucharist. Please keep in mind this RCIA adapted for Children and Teens Process is IN ADDITION TO their regular Sunday Mass participation, monthly EMMAUS Disciple- Fests, and Supplemental Faith Formation Programs described on other pages under the Faith Formation tab in the menu Bar. Rite of Christian Initiation for Adults (RCIA) adapted for Baptized Children and Teens is designed for disciples over the age of 7 who: 1) have already been baptized, but did not receive the sacraments of First Eucharist and Reconciliation at the grade level when these sacraments are usually celebrated, OR 2) have been baptized in another Christian faith and desire to come into full communion with the Catholic Church through the sacraments of Reconciliation, Eucharist and Confirmation. While this process may take up to two years, it is one that is based primarily on the disciple’s readiness and not so much on chronological age or grade level. Please keep in mind this RCIA adapted for Children and Teens Process is IN ADDITION TO their regular Sunday Mass participation, monthly EMMAUS DiscipleFests, and Supplemental Faith Formation Programs described on other pages under the Faith Formation tab in the menu bar. If you have any questions regarding RCIA please contact Dcn. Jerry Stenovec by phone at (619) 442-1697 ext. 104 or email HERE.